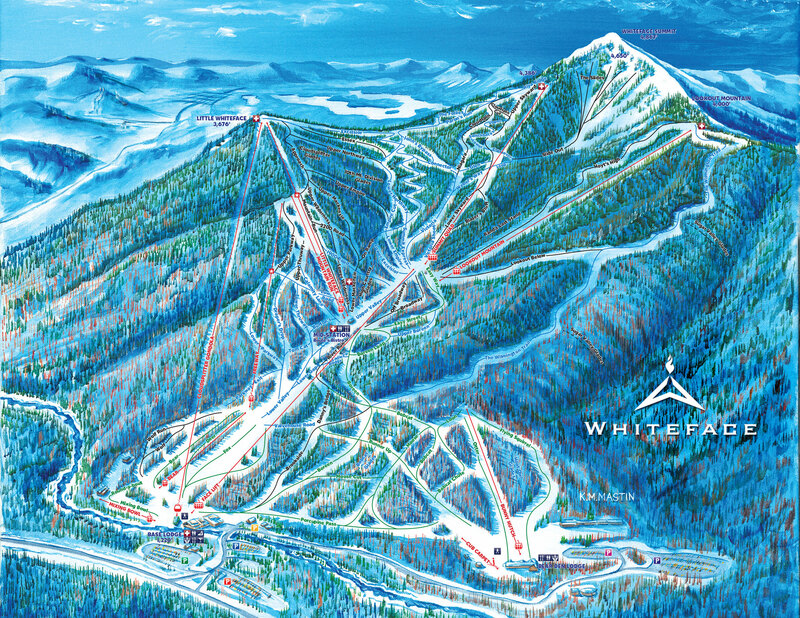 Whiteface is the largest resort in the East by vertical and played host to the 1980 Olympic Downhill. The New York State-owned Olympic Regional Development Authority continues to operate Whiteface along with nearby Gore Mountain and Belleayre in the Catskills. This week, Governor Andrew Cuomo proposed an impressive $62.5 million for capital improvements at ORDA facilities for 2018-19. 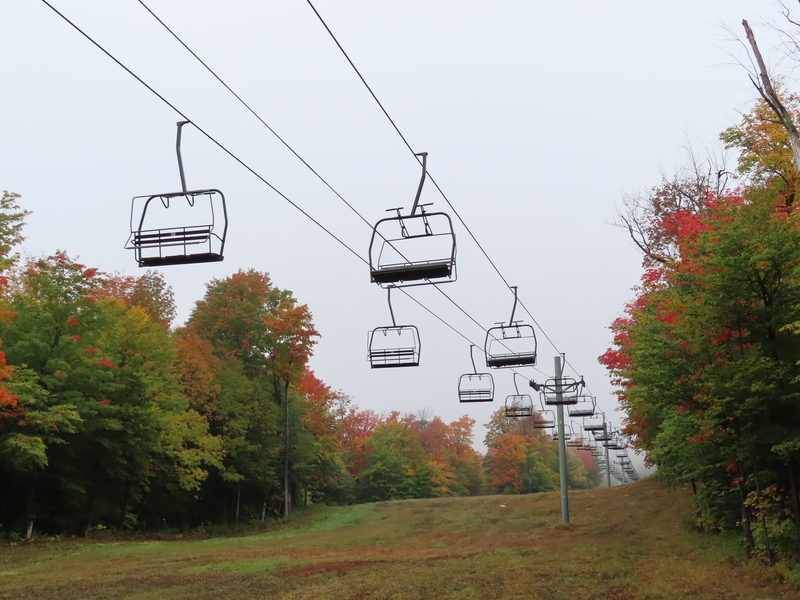 While the budget proposal is not yet law and does not identify specific items, it is likely to fund projects from Whiteface and Gore‘s management plans which, probably not coincidentally, were updated this month to include up to ten new lifts. The biggest project in Whiteface’s future is the replacement of the Freeway double (a 1978 Hall) in a completely new and much longer alignment. A new high-speed quad would start at in the base area and cross over the Little Whiteface double-double, topping out on the Upper Mackenzie trail. Two new trails would be cut from the top, making this lift ideal for intermediate skiers and riders. A second project would replace the 1984 VonRoll double named Bear with a fixed-grip quad. An offload opportunity would be included near the current top terminal and the new lift would continue to the Mid-station lodge area parallel with the Face Lift detachable quad. Current Whiteface trail map for reference. Significant improvements are planned for the Bear Den beginner complex. A relocated Riblet double-turned-triple currently services this zone and would be replaced with a fixed-grip quad. 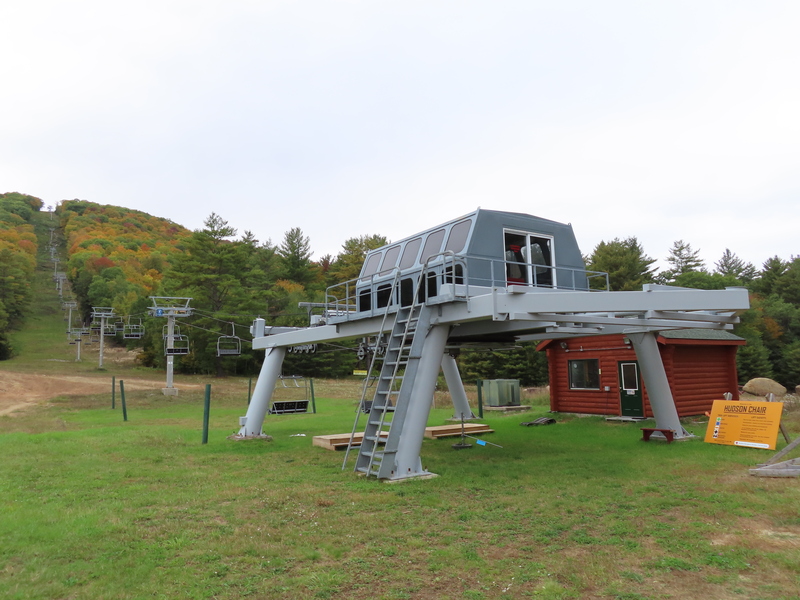 “The new quad and magic carpet at Bear Den will serve the extensive trail work we are planning in that area,” Whiteface General Manager Aaron Kellett tells NY Ski Blog. 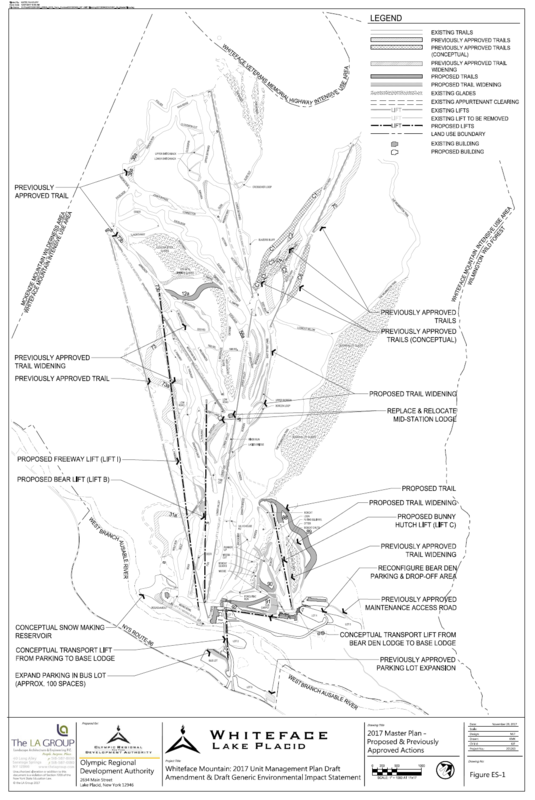 “We want to extend the lift top terminal higher to create better flow in and out of the area.” Last year, Whiteface proposed a new lift from Bear Den all the way to the Mid-station but that plan has morphed into a conceptual transfer lift between the two base areas. 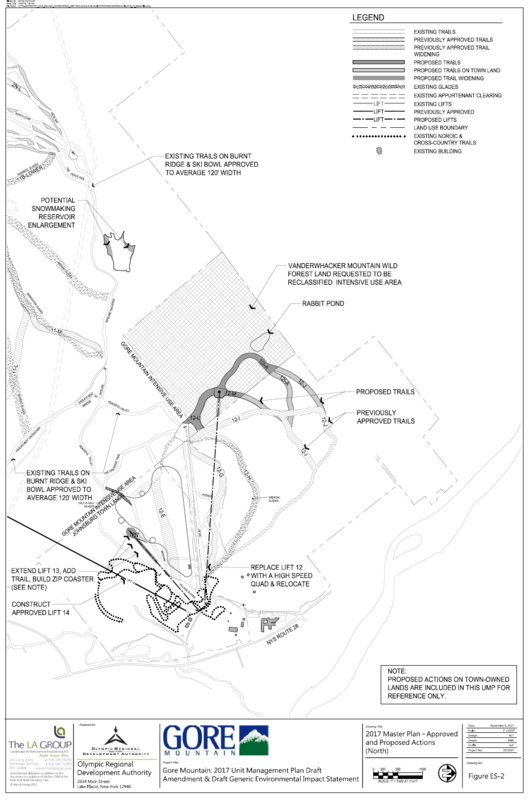 A second transfer lift (think gondola, pulse gondola or cabriolet) could link the main parking lot to the base lodge.